When he had finished reciting Qur’an, he would pause for a moment then raise his hands, say takbeer and do rukoo’. 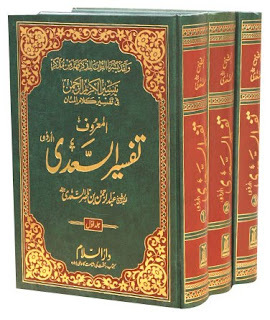 (Sifat Salaat al-Nabi (صلى الله عليه وسلم), p. 128). He used to raise his hands when he stood up from rukoo’ (reported by al-Bukhari and Muslim), and this raising of the hands is mutawaatir (reported by so many to so many that it is inconceivable that they could all have agreed on a lie). It is the opinion of the majority of scholars and of some of the Hanafis. (Sifat Salaat al-Nabi (صلى الله عليه وسلم) by al-Albani, p. 136). Narrated by al-Bukhari (no.735) and Muslim (no.390) from ‘Abdullah ibn ‘Umar (may Allah be pleased with him), who said that the Messenger of Allah (صلى الله عليه وسلم) used to raise his hands to shoulder level when he started to pray, when he said “Allahu akbar” before bowing in rukoo’, and when he raised his head from rukoo’. The majority of scholars followed this hadeeth and said that it is mustahabb for the worshipper to raise his hands at the points mentioned in the hadeeth. Imaam al-Bukhari said: “Al-Hasan and Humayd ibn Hilaal said: ‘The Companions of the Messenger of Allah (صلى الله عليه وسلم) all used to raise their hands, without exception.” (Juz’ raf’ al-yadayn, p. 26, ma’a jila’ al-‘aynayn). Ibn al-Qayyim said: “Look at the practice at the time of the Prophet (صلى الله عليه وسلم), and the Sahaba after him. They used to raise their hands in prayer when doing rukoo’, and when standing up again. And in the time of the Sahaba, if ‘Abdullah ibn ‘Umar saw someone not raising his hands in prayer, he would throw a stone at him. [next phrase is unclear]. (I’laam al-Muwaqqi’een, 2/376). Az-Zayla’I (who was a Hanafi Scholar) said: in Nasb ar-Rayah, quoting from Juz’ Raf‘i-l-Yadayn of al-Bukhari, “ibn al-Mubarak used to raise his hands and he is the most knowledgeable of the people of his time as far as is known. Abu Eesa said: the hadeeth of ibn Umar (Sahih Bukhari #735 #736 #737 #738 #739 ) is hasan sahih and some of the People of Knowledge from the Companions of the Prophet (صلى الله عليه وسلم) held this view [stated in the hadîth]. From amongst them were: ibn ‘Umar, Jabir bin ‘Abdullah, Abu Hurayrah, Anas, ibn ‘Abbas, ‘Abdullah bin Zubair and others. (Said by Shaykh al-Islam – may Allah have mercy on him – in al-Fataawa, 22/247). We do not know whether the ahaadeeth about raising the hands reached Abu Haneefah (may Allah have mercy on him) or not, but they did reach his followers. But they did not follow them because they had other ahaadeeth and reports which said that the hands should not be raised except when saying “Allahu akbar” at the beginning of the prayer. 1) The hadeeth narrated by Abu Dawood (749) from al-Baraa’ ibn ‘Aazib, which says that the Messenger of Allah (صلى الله عليه وسلم) used to raise his hands almost to his ears when he started to pray, then he did not repeat (this action). 2) The hadeeth narrated by Abu Dawood (748) from ‘Abdullah ibn Mas’ud (may Allah be pleased with him) who said: “Shall I not lead you in prayer as the Messenger of Allah (صلى الله عليه وسلم) did?” Then he prayed and he only raised his hands once. See Nasb al-Raayah by al-Zayla’i, 1/393-407. 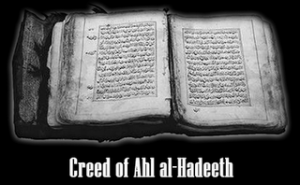 But these ahaadeeth were classed as da’eef (weak) by overwhelming majority of the Imams of hadeeth. The hadeeth of al-Baraa’ (Abu Dawud no.749) was classed as da’eef by Sufyaan ibn ‘Uyaynah, al-Shaafi’ee, al-Humaydi the shaykh of al-Bukhari, Ahmad ibn Hanbal, Yahya ibn Ma’een, al-Daarimi, al-Bukhari, and others. The hadeeth of Ibn Mas’ud (Abu Dawud no.748) was classed as da’eef by ‘Abdullah ibn al-Mubarak, Ahmad ibn Hanbal, Yahya bin A’dham, Abu Dawood, al-Bukhari, al-Bayhaqi, Ibn Hibban, al-Daaraqutni and others. Similarly, the reports which were narrated from some of the Sahaba about not raising the hands are all da’eef. 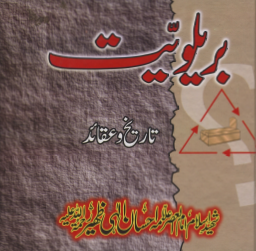 See Talkhees al-Habeer by al-Haafiz ibn Hajar, 1/221-223. Once it is proven that these ahaadeeth and reports which say that the hands should not be raised are weak, then the ahaadeeth which say that the hands should be raised remain strong with no opposing reports. who said, “Pray as you have seen me praying.” (Narrated by al-Bukhari, 631). 4.after standing up from the first tashahhud. ..and the fifth is if you missed one rakaat because you are late for obligatory prayer at the Mosque, then while standing to replace the missed prayer one must raise his/her hand.